Regardless of who owns the home (i.e., one spouse or both), the house cannot be sold or encumbered (e.g., a mortgage secured against the home) without both spouses’ consent. Further, unless there is a court order or agreement stating otherwise, both spouses can reside in the matrimonial home (i.e., one spouse cannot change the locks or kick the other spouse out). The matrimonial home is also given special consideration in equalization. In equalization, absent an agreement stating otherwise, a spouse can deduct from their net family property (i.e., net worth earned during marriage that is to be shared) any home that the spouse owned on the date of marriage, except a matrimonial home. As a result, if you separate in the same home that you brought into the marriage, regardless of who owns the home, both spouses will be entitled to share in the date of separation value of the home, not just the value earned during the marriage. If you are getting married and own a home on the date of marriage, it is important that you obtain proper legal advice as to how you can protect the pre-marriage equity of that home in the event of a separation with a marriage contract (i.e., pre-nup). If both spouses own the matrimonial house, one spouse cannot be forced to buy out the other spouse’s interest. The parties can agree amongst themselves (should be set out in a proper separation agreement or court order) to one spouse buying the other out of the matrimonial assests. If the parties cannot agree, then a Court can order a sale of the matrimonial home. It is important to remember that these comments regarding the matrimonial home apply to legally married spouses only, not common-law couples. There are separate considerations and laws for common-law couples. Spouses who have children should speak with a lawyer first before deciding on leaving the home. It is important that proper custody and access arrangements, even temporary, are set out in a proper separation agreement or court order before that spouse moves out of the matrimonial home otherwise the spouses could face unintended consequences regarding custody and access of their children in the short-term and long-term. 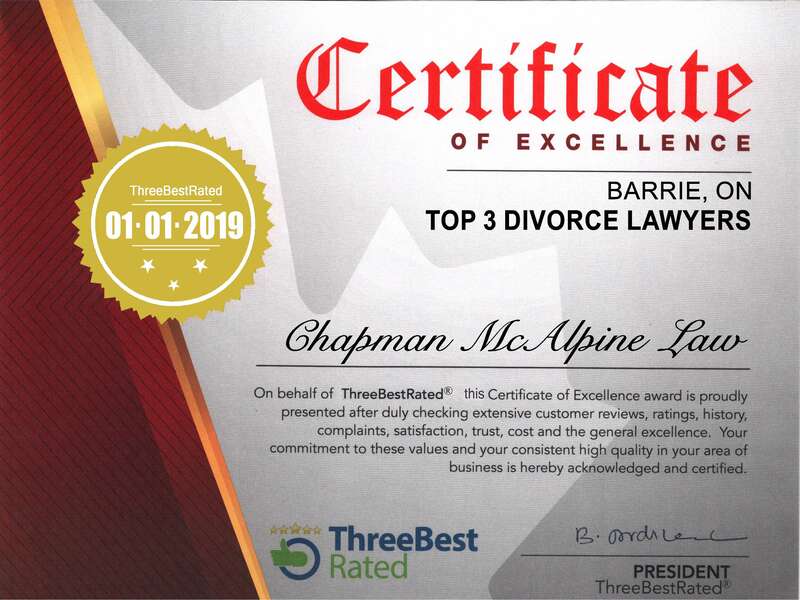 The family law lawyers at Chapman McAlpine Law can help you understand your rights and obligations and consequences regarding the Matrimonial Home. Contact us today to schedule your one hour no-obligation consultation.